For over a decade, CSFi has offered proven integrated solutions for EMV acquiring, issuing, and issuer-processing support. CSFi EMV solutions take full advantage of EMV technology in providing secure cardholder authentication for most leading ATM brands including Diebold, NCR and Hyosung. Click for information on how CSFi’s SWITCHWARE® and EMV Card Technology can pave the way for your successful migration to an EMV compliant payments platform. 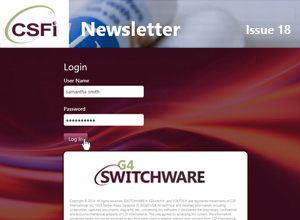 SWITCHWARE 4.0 is the latest evolution of CSFi’s payment authorization and transaction switching software. Enhancing the raw transaction processing power, scalability and functionalities from previous versions, 4.0 is the result of many years of development and is fully integrated with our G4 web-based applications. PA-DSS (Payment Application Data Security Standard) is the worldwide information security standard assembled by the Payment Card Industry Security Standards Council (PCI SSC). The standard helps organizations that process payment card transactions to prevent card fraud through increased controls around data and its exposure to compromise. SWITCHWARE 4.0 meets the latest PA-DSS requirements for properly storing, handling and disseminating sensitive cardholder data. The same Seamless Integration with FraudBlock™ is still available. Cardholders can temporarily disable their debit cards when they are not being used, and re-activate them on demand. Release 4.0 provides a new API that allows these changes to occur from other systems such as internet banking and mobile banking. Six customizable limit fields can now be used in addition to the regular ATM and POS limits. The system will provide a selection of multiple rules that may apply to these custom limit fields. One example is a rule to set a daily limit on the total monetary amount of e-commerce transactions a cardholder performs. Release 4.0 supports acquiring and issuing for all EMV card types, including contactless, with various ATM brands using the latest in near-field chip technology. Separate from cardholder limits, users will have the option to set withdrawal limits for each account linked to a card. A popular feature when setting up or converting a new BIN on the system, users will now be able to turn on or off the activity of their cardholders for an entire BIN. End-to-end network encryption with connected devices (ATMs, POS terminal, etc.) is now supported. Users will be able to setup network encryption using SSL/TLS 1.2 and manage the encryption certificates, keys and functionality within SWITCHWARE. An especially useful feature for any acquiring device setup in a standalone location outside the bank’s immediate network and vulnerable to on premise hacking. SWITCHWARE certification of the latest in ATM program technology (Diebold’s Vista 5.4 and NCR’s EDGE 10) allows Windows 10 to be installed throughout your ATM network. Using TMDs anti-skimming protection devices, such as the “Card Protection Kits” and the “Active DIP Kits”, SWITCHWARE now provides functionality to alert when it suspects a skimming device attaches to one of the ATMs. Instead of waiting on a handshake to determine if the authorizing system is unavailable, expanded STIP now allows a single, in-flight transaction to be authorized by SWITCHWARE. Triton ATM support has been expanded to include EMV transaction acquiring and EJ viewing within the G4 web application. Where Visa or MasterCard performs an inquiry transaction for mobile wallet enrollment, SWITCHWARE 4.0 will record the mobile wallet enrollment data for Android Pay, Samsung Pay or Apple Pay. For ATMs using Diebold’s Vista or NCR’s EDGE 7.0 stateless ATM program, SWITCHWARE can dispense funds where the cardholder selects specific denominations and currencies at the ATM. Enhanced ATM control includes monitoring each ATM’s individual cassettes and performing alert notifications for conditions such as low on notes. A financial institution can now limit or block other bank’s cardholders at the ATMs connected to SWITCHWARE. Limits can be defined on a per-transaction basis, as well as applied to specific foreign BINs and blocking for transactions that attempt “Fallback”. SWITCHWARE 4.0 is the future. Contact CSFi today for a brochure, and detailed assessment of how CSFi can further your institution’s profitability. Houston, TX: With nearly $1.6 billion in assets and 17 interstate branches, American First National Bank seeks to become the leading Asian-American owned financial institution within the United States. In an effort to accomplish that goal, the bank has chosen EZswitch® G4 as the new online interface connecting their Fiserv Precision core system to the Elan EFT network. 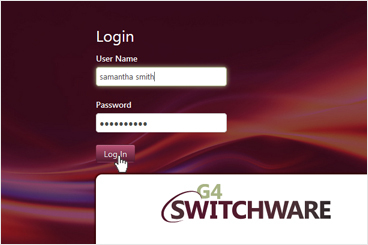 Since 2012 the bank has relied upon CSFi to streamline card operations and is now taking advantage of the latest EZswitch enhancements including G4 Web-based apps. Their new online interface introduces a host of new features proven to lower costs, boost revenues, and improve operational efficiency. The upgrade to EZswitch® G4 ensures that the bank and its cardholders are relying on the most secure and scalable end-to-end debit card management solution available. CSFi has achieved PA-DSS v3.2 payment application validation for SWITCHWARE® 4.0. 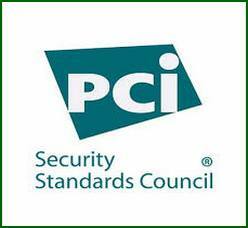 In the wake of growing electronic transaction fraud and data leakage, the PCI Security Standards Council, has updated industry-wide standards to improve authentication, third party accountability and software design. The PA-DSS validation was conducted by SISA, a PA-QSA Payment Application Quality Assessor company. For a full list of PA-DSS validated payment applications please click here. The longer an ATM sits without updated security patches and updates, the more vulnerable it becomes. On January 14, 2020 Microsoft will end support for Windows 7. CSFi has long been collaborating with strategic partners and global customers to ensure that the migration to Windows 10 is as seamless as possible. Designed to simplify the monitoring and management of today’s and tomorrow’s emerging payments technologies, CSFi’s SWITCHWARE® G4 and EZswitch® solutions are well positioned to support the migration to Windows 10. SWITCHWARE G4 and SWITCHWARE® Version 3.12 desktop applications have already been certified as Windows 10 compatible and have recently completed NCR Edge 10 certification. The ability to deploy the latest innovations in technology is key to maintaining a safe and secure environment. Running an unsupported operating system is not advisable for a host of reasons. The upgrade to Windows 10 should be viewed as an opportunity to embrace the latest in future software innovation. Able to interface with virtually any “open standards” third party application or EFT connection, CSFi solutions allow for easy integration with “best of breed” legacy or future additions to an electronic payments operating environment. For more information about the dangers of running an unsupported operating system and easing your migration to Windows 10, Contact CSFi today. CSFi continues to advance the security of ATM communications originating from SWITCHWARE® driven ATMs using the latest in SSL/TLS security. 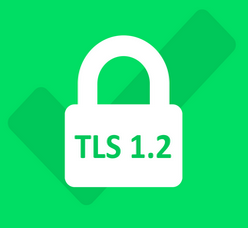 CSFi currently has two active international SWITCHWARE pilot sites implementing TLS 1.2 that will collectively secure communications from nearly 1,000 ATMs when completed. All pilot sites support NCR ATMs, (Diebold support is planned in the near future) and utilize different certificate authentication methods. Leveraging existing Backup/DR infrastructure, CSFi’s SSL/TLS solution has the advantage of integrating seamlessly with SWITCHWARE®, requiring no additional third party hardware components or third party interfaces. For more information, please click here. Chip and PIN technology has become the new standard for payment card transactions, but the continued existence of magnetic stripes and ingenuity of card fraudsters insures that card based and other transactions are at risk. While proven more secure than magnetic stripe only cards, non EMV compliant or compromised terminals and card “fall back” events defeat the safety features of EMV chips and provide a playground for card fraudsters. One of the latest hacks targeting credit and debit cards is the “shimmer.” Deeply inserted and sandwiched directly between the card’s chip and an ATM or POS system’s card reader, it is embedded with a microchip and flash storage capable of accessing a card’s EMV chip, the card number and more. It is invisible to the cardholder and unlikely to be affected by most anti-skimming, jamming or detection solutions. Collected information can be used to create a cloned magnetic stripe card. 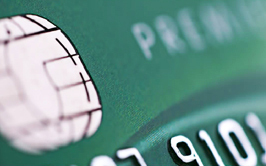 A CSFi customer was recently slammed by a skimmed card attack. Approximately 15 skimmed/cloned cards had been used at multiple ATMs at least 10 times each at $500 per withdrawal. They were getting hit hard and fast by continuing on-us fraudulent transactions. With losses averaging over $5,000 per card at the time of discovery, they needed a solution fast. Deploying SWITCHWARE® Check BIN Limits functionality, the bank enabled CSFi’s Sentinel™ Alert Notification System to provide institution wide real-time monitoring and alerts for any violation of customizable card withdrawal rules at any ATM in their fleet. Designed to detect behavior consistent with fraudulent card use at the ATM, the bank was able to track potentially fraudulent behavior in real time and minimize losses. With no comprehensive real-time fraud monitoring solution yet in place, the bank relied upon the capabilities of CSFi, SWITCHWARE® and Sentinel™ to stem the tide of losses from multiple on-us ATM withdrawals on the same cards. When future suspicious transactions occurred, the bank was immediately notified of the BIN, Card Number, Sequence Number, Transaction Amount, and location of the event through CSFi’s Sentinel Alerts. While certainly not a substitute for CSFi’s far more comprehensive and robust FraudBlock® Real-Time Fraud Protection and Prevention System, monitoring and alert functionality proved invaluable in the early identification of fraudulent card activity and minimization of card losses. The best deployed technology always wins. Modern transaction monitoring, fraud analysis and real-time authorization controls give the prepared bank the upper hand. CSFi real-time card fraud prevention tools allow for split second recognition of troubling transactional activity, an opportunity for immediate response, reduced chargebacks, and an enhanced customer experience. Designed to detect transaction anomalies, CSFi’s FraudBlock is an easy-to-use solution that provides granular “down to card level” control of fraud risk. Designed to combat the efforts of fraudsters today and tomorrow, including card not present transactions, FraudBlock puts the bank in charge. FraudBlock can stop fraud before it happens. Inspect transactions as they are being processed or immediately after approval. No waiting on an EFT or ATM network. Build denial rules that reject transactions using values on the ISO8583 messages. Card issuers can build custom rules specific to their needs or copy existing rules to modify them. For more information on optimizing the security of your transaction environment contact a CSFi representative today. Visit CSFi.com and Register now to watch a video of FraudBlock in action and enable full access to our web resources. Once registered, users have full access to brochures, videos and additional information describing the features and benefits of SWITCHWARE® G4, FraudBlock™, ATM Encryption Solutions, Sentinel™, EMV support, and our entire suite of products, services and solutions. In 2019 threats to ATMs and cardholder account security are on the rise. The wide spread adoption of EMV chip enabled cards in the US has resulted in a decrease in card skimming and counterfeit card issuance, but ushered in a new era of ATM “jackpotting”, “shimming”, “account takeover”, “malware injection”, “spoofing” and “card-not-present” fraud. Increased incidence of data theft is no coincidence…Data facilitating account takeover and compromise is a valuable commodity and established “compromised accounts” are fetching top dollar on dark net auction sites. Flexibility is the key to combating an evolving threat matrix. Hybrid multilayered solutions are the most effective in mounting a defense against emerging financial threats. The capability of core fraud detection and prevention systems to incorporate the best solutions available regardless of the provider is paramount to success. Dedicated to the recognition and integration of fraud detection technology effective in thwarting emerging threats, every element of the CSFi suite of electronic payments solutions and services is designed to keep its customers competitive and secure in today’s and tomorrow’s marketplace. CSFi’s core fraud defense systems and capacity to seamlessly integrate with complimentary solutions qualify it as a global leader in the battle against financial crime at the ATM and beyond. To learn more Register now at CSFi.com. Once registered, users have access to brochures, videos and additional information describing the features and benefits of SWITCHWARE® G4, FraudBlock™, High Availability, EMV support, and our entire suite of products, services and solutions. In order to stay abreast of the latest in self-service technologies, CSFi continues its commitment to attend relevant vendor conferences. The past year’s hottest topics included fraud detection and prevention as well as P2P cardless ATM withdrawals. In 2018, CSFi participated in the Diebold TAG/PIX conference held in Las Vegas and the NCR Summit conference held in Atlanta. Check CSFi.com and our social media sites regularly for announcements of CSFi event participation. Learn more about how FraudBlock™ can be used to combat fraud, ATM Encryption Solutions (SSL/TLS) can be used to secure your ATM network communications and Cardless P2P Withdrawals can be supported at SWITCHWARE® driven ATMs.